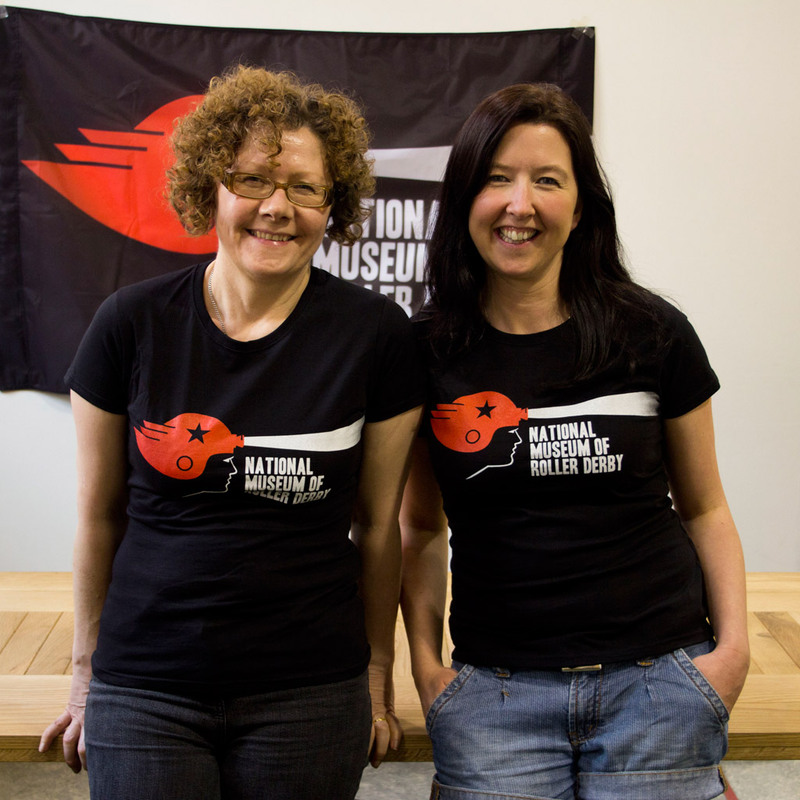 Your chance to get hold of some of the official merchandise for the new National Museum of Roller Derby collection at Glasgow Women’s Library, which was founded by artist Ellie Harrison in 2012 as her contribution to the library’s 20th anniversary project. 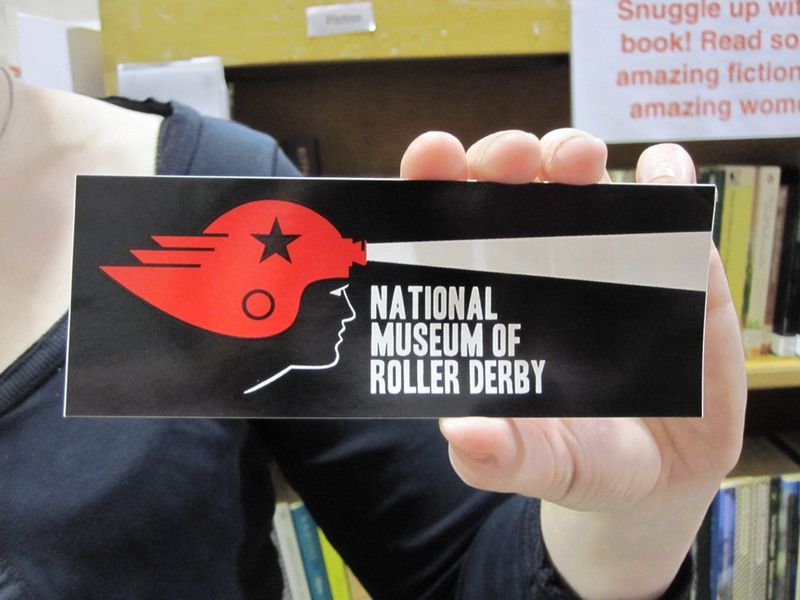 These black vinyl stickers feature the National Museum of Roller Derby’s beautiful logo. 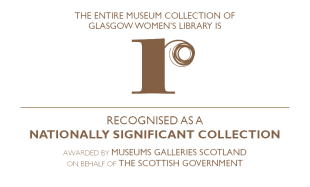 The logo is based on an original design by Josie Evans, created for Glasgow Women’s Library in 2002 for our Lifelong Learning Project. It depicts Athena – the Greek goddess of wisdom, courage, inspiration and strength. The now disused image was discovered by Ellie Harrison during her period of residency at the library and reworked to include the famous star worn by the ‘jammer’ in the Roller Derby team in order to become the leitmotif for the new museum. The stickers are 14cm x 5.2cm. They cost £1, with postage and packing 75p in the UK (£1.35 international). Glasgow Women's Library Makes You Think – and our stickers add a splash of colour to your notebook, bag, wall, or anywhere you place them! 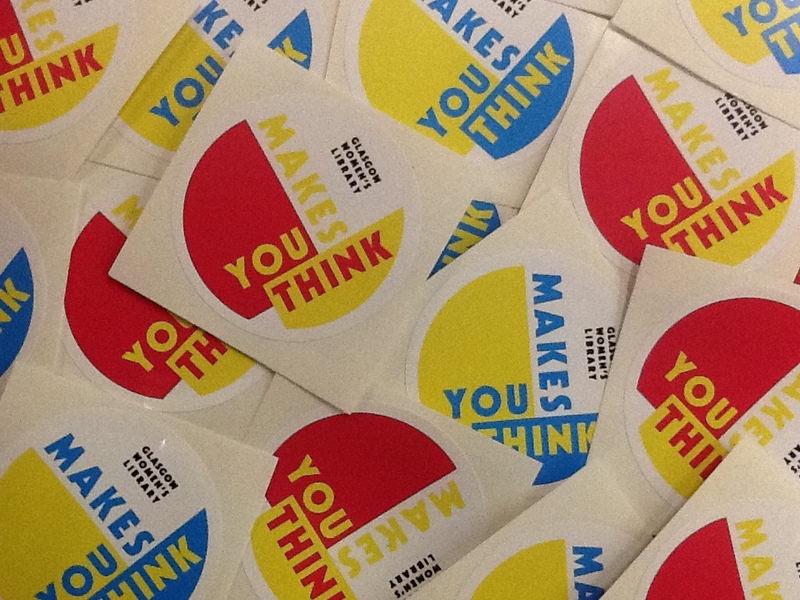 Designed for GWL by Maeve Redmond and Sophie Dyer as part of our 'GWL Makes You Think' campaign, these 7cm stickers are a bright, bold and striking way to show your support for Glasgow Women's Library. Just £1 each (including postage & packing), these stickers are available in two colour combinations: pink and yellow, and blue and yellow.